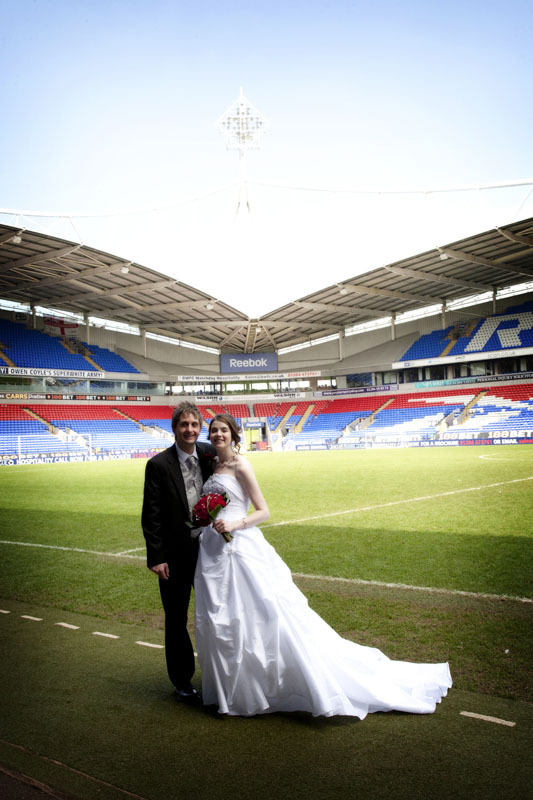 Dean & Sarah were married at The Reebok stadium in Bolton. As I arrived at the Reebok I was in the bar waiting for Dean and as I looked around I thought I noticed a few faces. It turned out that it was also the darts world championships at the venue and I was stood next to Eric Bristow !!! 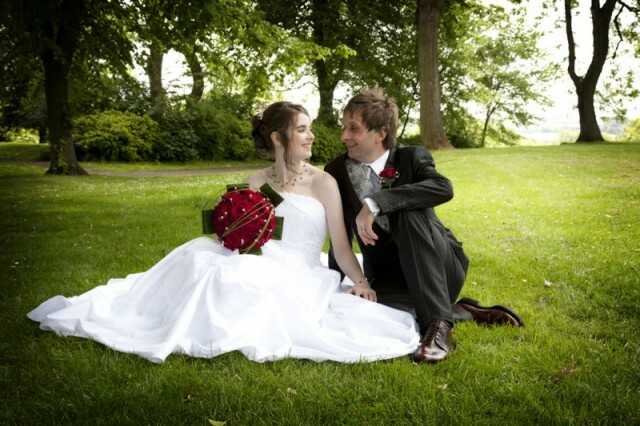 Anyway back to the wedding, Sarah looked stunning as she arrived and the service went without a hitch. 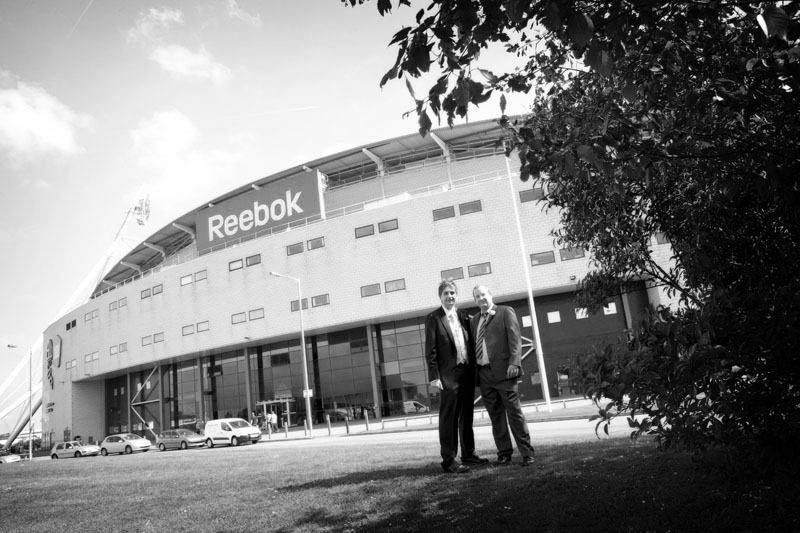 We did the family pictures in the Reebok and then I whisked Dean & Sarah to Queens Park in Bolton for some personal pictures. Have a great time in Palma and see you when you get back.